Prime Minster Erna Solberg opened Oslo Cancer Cluster Innovation Park on August 24. More than 290 invited guests and a huge media turnout celebrated the initiators Jónas Einarsson and Kaare Norum for turning the radical idea of an oncology innovation park integrating a school into reality. Ullern Upper Secondary School will be integrated in the Oslo Cancer Cluster Innovation Park. Oslo Cancer Cluster and Ullern have worked closely together since 2009. In collaboration we will educate the researchers and entrepreneurs of tomorrow. Oslo Cancer Cluster Innovation Park is in the planning of a construction stage 2. Please contact Jónas Einarsson for new rental possibilities here. 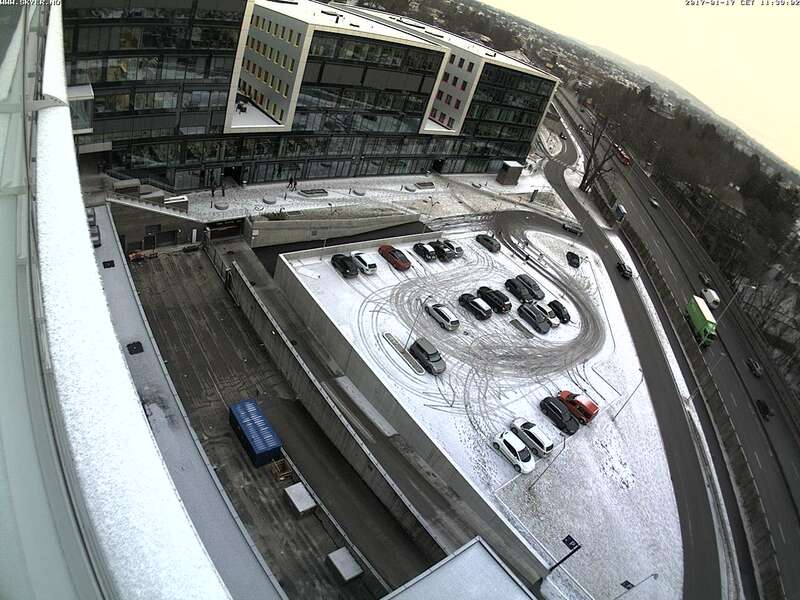 Here you may see the Oslo Cancer Cluster Innovation Park. 300 m² - 2600 m². From one office or one labratory space. Separate building in conjuction to the Oslo Cancer Cluster Innovation Park.